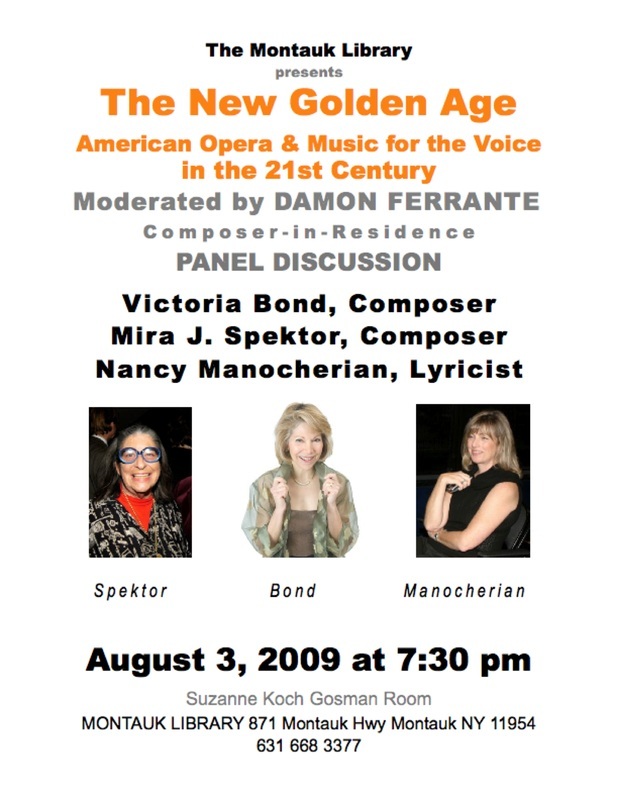 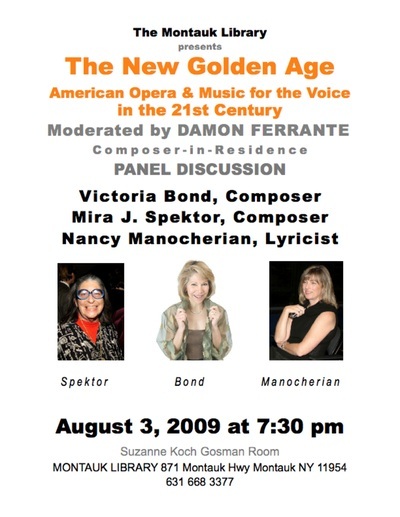 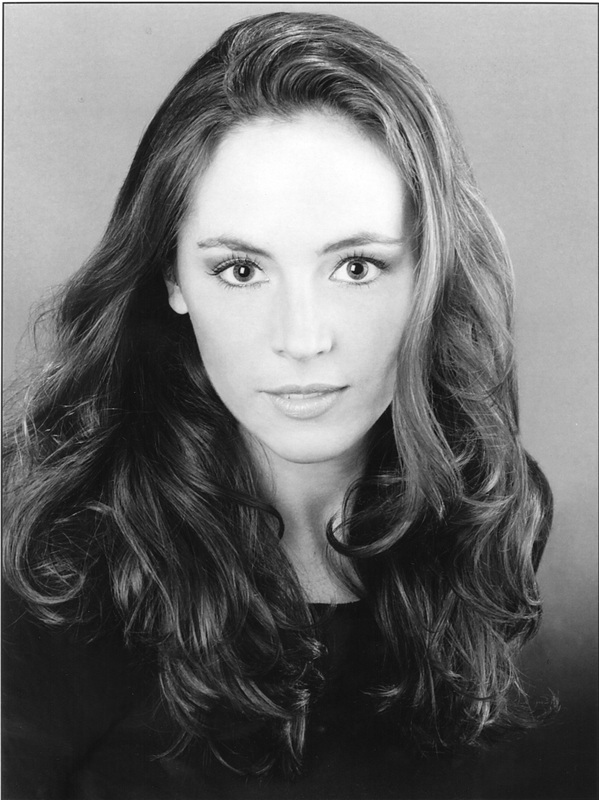 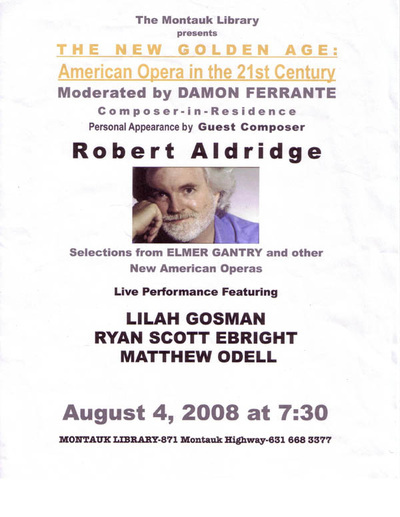 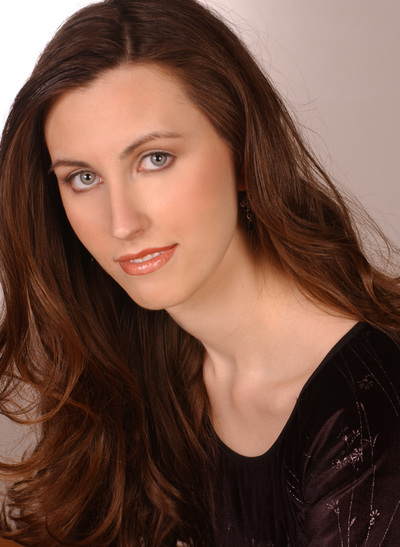 Funded by the New York State Council for the Arts and the Suffolk County Arts Council, The New Golden Age: American Opera in the Twenty-First Century is a lecture series that explores the dynamic and lyrical styles, themes, and historical context for contemporary, American opera. 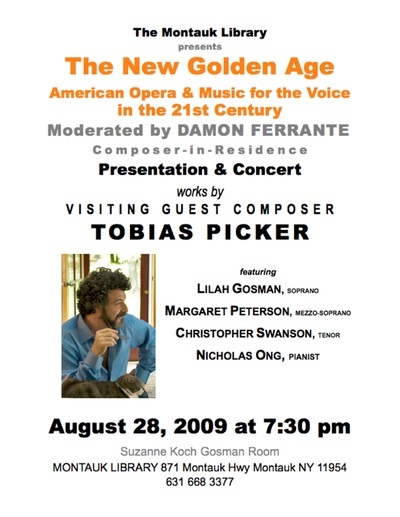 The talks feature works written in the last fifteen years by such operatic luminaries as Tobias Picker, John Adams, Philip Glass, Mark Adamo, Ricky Ian Gordon, Robert Aldridge, Anthony Davis, Steve Mackey, John Corligliano, and other prominent figures. 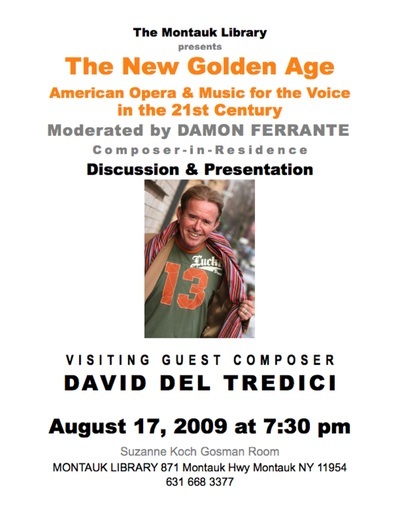 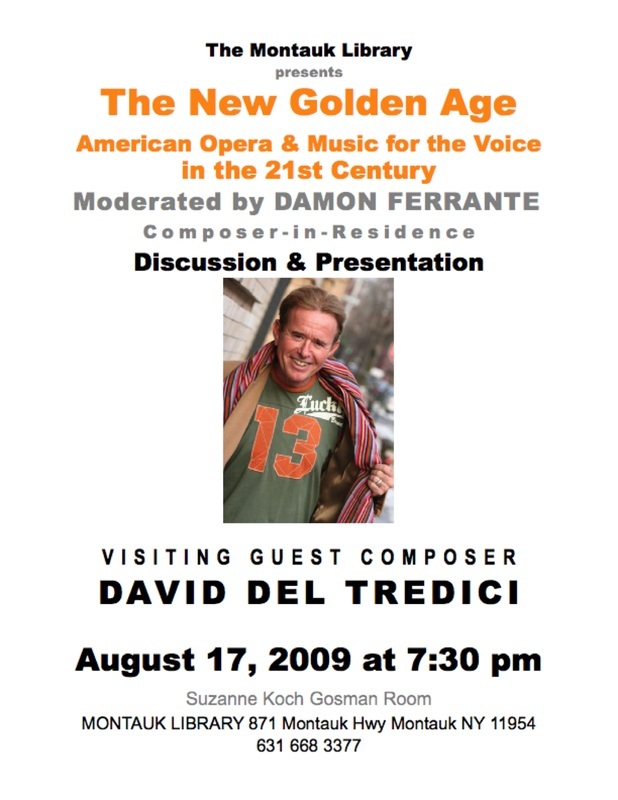 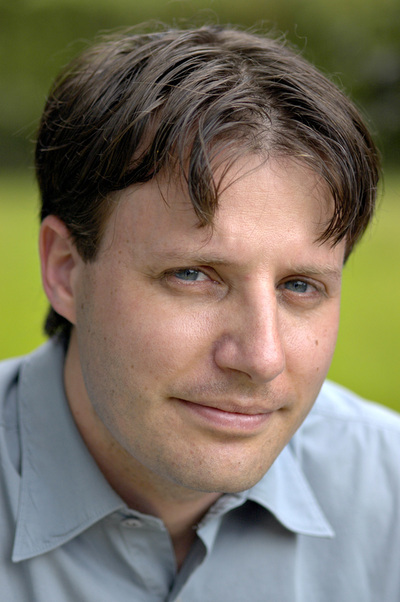 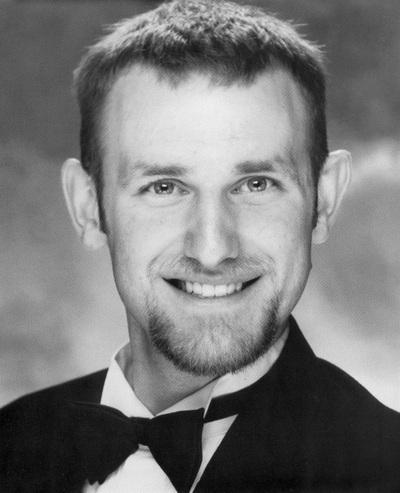 Composer-in-Residence, Damon Ferrante, an opera composer and music professor, conducts the lectures, which are augmented by live performances from professional opera singers and DVD recordings, libretti, scores, and program notes—many of which are not commercially available—provided by the composers, librettists, and publishers. 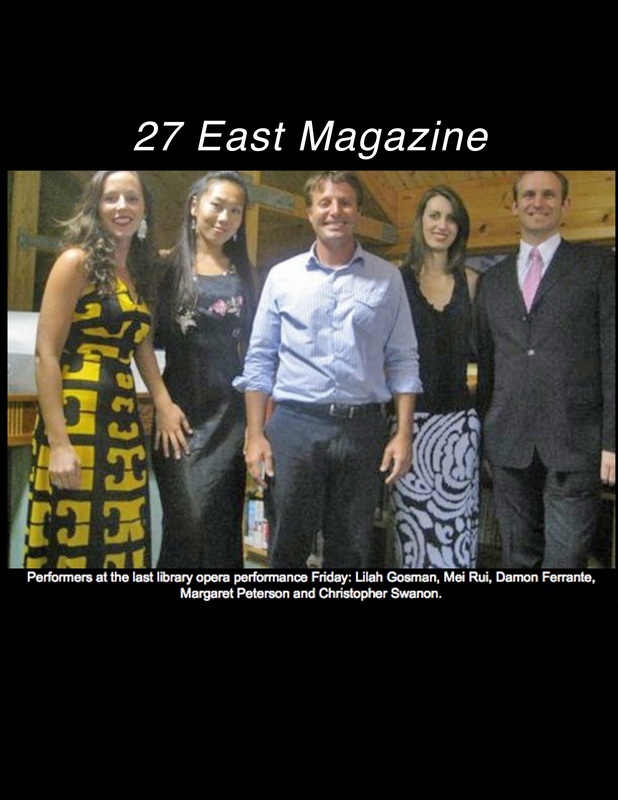 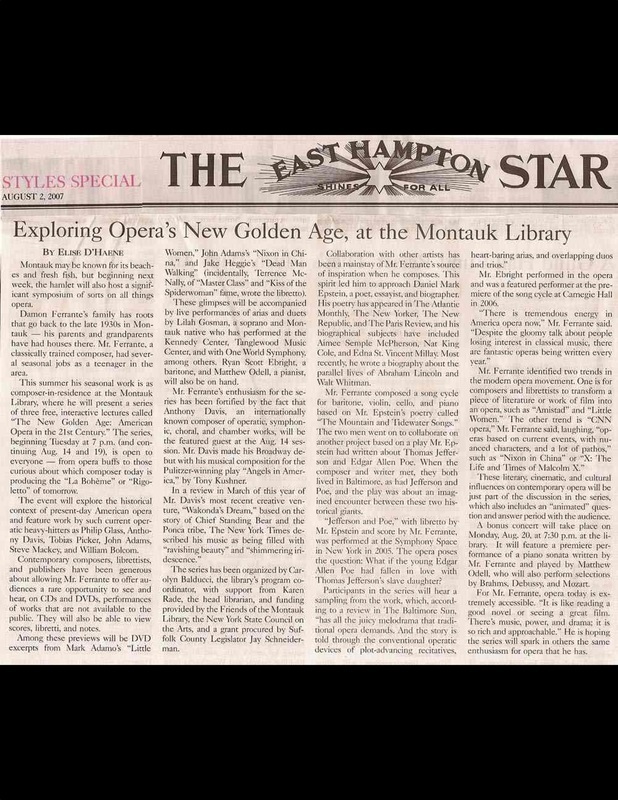 "The Montauk has it own composer in residence, Damon Ferrante, who is putting on a series of excellent musical programs."